An App with more than one goal! The world of football has long inspired people of all ages and gender to exercise and to care about living a healthy lifestyle. 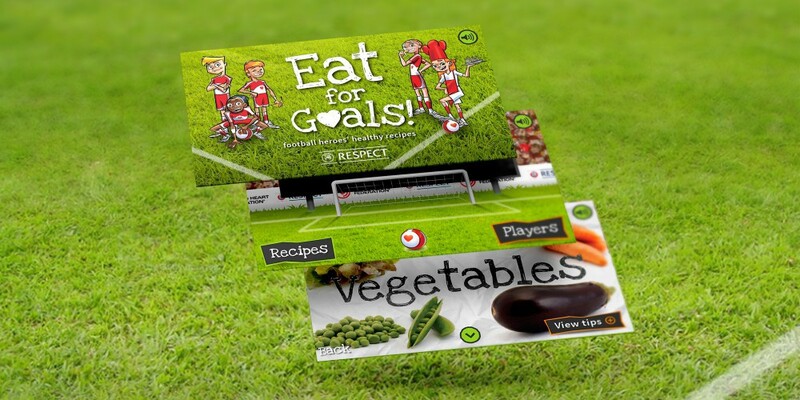 Eat for Goals sets out to inspire the user to eat well too. Optima were asked to develop an App on iOS and Android for the World Heart Federation. 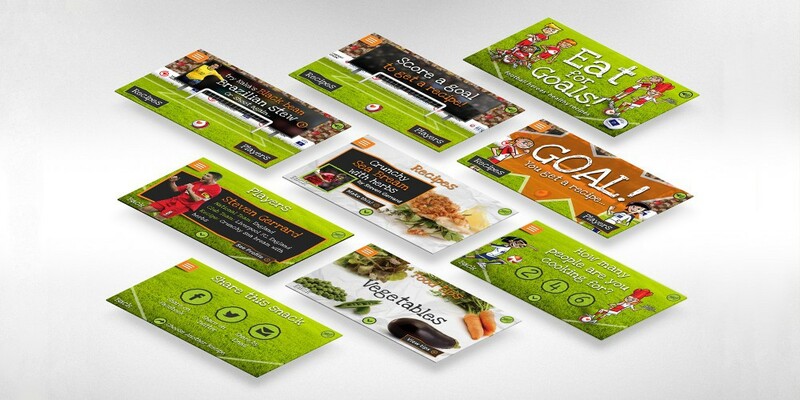 The App was based on a previously released Eat for Goals book. The App features deliciously healthy recipes and food tips from football heroes such as Cristiano Ronaldo, Frank Lampard, Steven Gerrard and Rachel Yankey. Each football player shares their favourite recipe, including ingredients and cooking instructions. 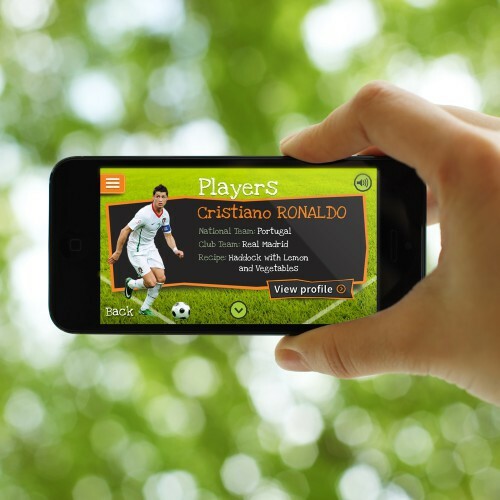 The App also provides a fun interactive game in which the player flicks a football to try and score a goal as well as fun food tips. The App has received an astonishing 18,000 downloads on the App store alone!